An f/5.5, 80mm ED refractor was mounted on a Celestron AVX mount. 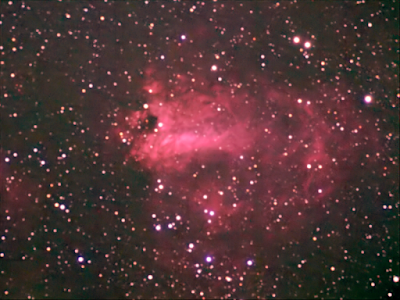 A ZWOASI 120MC camera was placed at the prime focus and AstroDMx Capture for Linux was used to capture 50 x 25s exposures of M17 as Tiff files, with matching dark-frames. 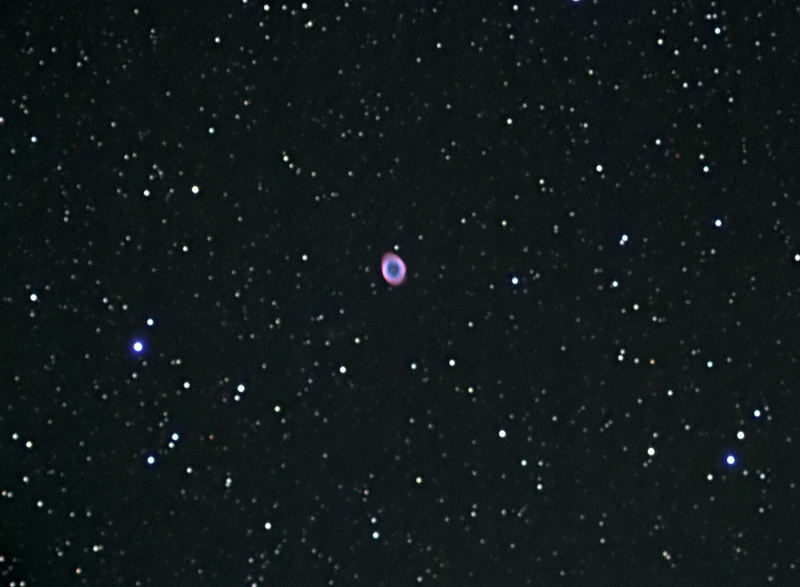 The images were calibrated and stacked in Deep Sky Stacker running in Wine in a Linux Mint Laptop. The final image was processed in The Gimp 2.9, Neat image and deLaboratory. Click on an image to get a closer view. 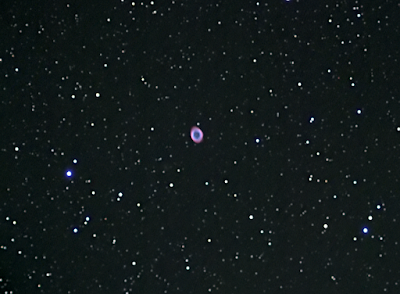 30 x 30s exposures were captured of M57 with matching dark-frames. 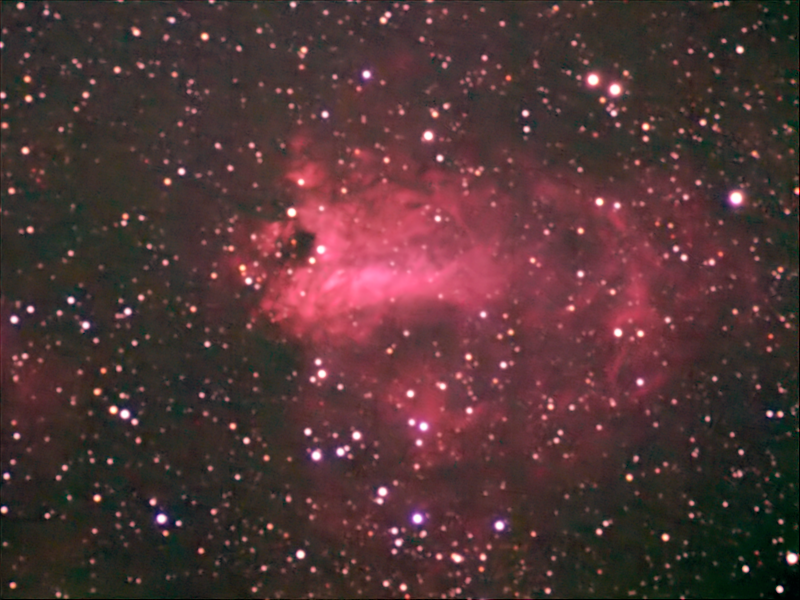 The images were calibrated and stacked in Deep Sky Stacker running in Wine. The final image was processed in The Gimp 2.9 and Neat image.